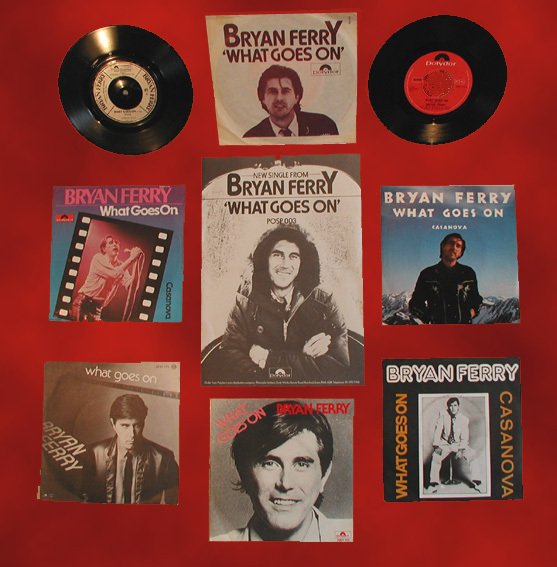 Lyrics to the song What Goes On as recorded by Bryan Ferry. What Goes On was written by Lou reed for The Velvet Underground's eponymous album in 1968. Ferry's version uses a sectiom of another Velvet Ground song called Beginning To See The Light using these 4 lines as a middle section on his version of What Goes On. Bryan recorded this version for his album 'The Bride Stripped Bare' and released as a single reaching number 67 in its 2 week run on the UK singles charts. Fans were delighted with the surprise inclusion in the live set for the 2011 Olympia Tour. This is the first time Bryan has performed this song live.